This is a revisionist study of Derzhavin's poetic art and his contribution to the emerging importance of the role of "leading poet" in Russian culture and throughout the Russian Empire. As such, it returns to the 18th century and endeavors to remove the long shadow Pushkin and Pushkin scholarship have cast over Derzhavin the artist and cultural phenomenon. 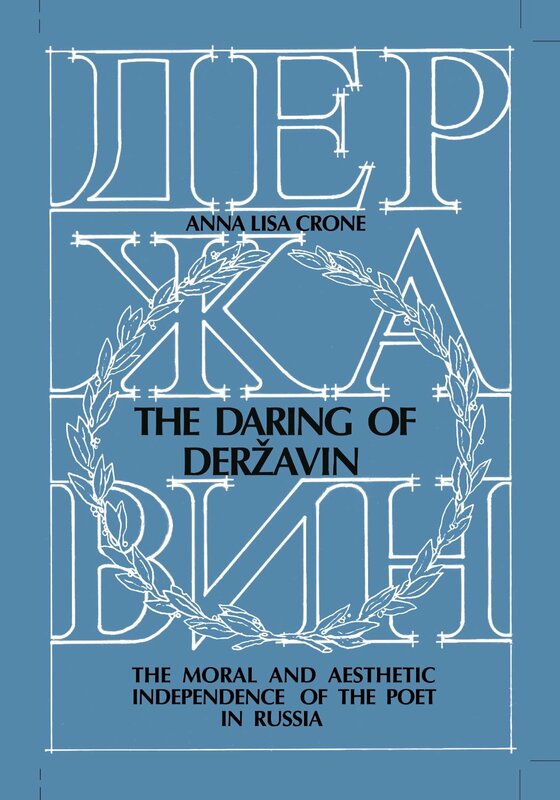 Through internal analysis of the self-referential materials in many of Derzhavin's best known poems as well as his prose comments on the poet's calling, Professor Crone paints a new picture of what is meant by Derzhavin's "heavy lyre." She traces how the very modest conception of the poet's role he held in the 1770s was systematically rendered more authoritative, powerful, and independent. Derzhavin raised the status of poet, presuming to define Russianness and Russian values, coopting prerogatives formerly held in the political sphere, and was most instrumental in shaping poetry as "the scourge of Tsars," which he later bequested to Pushkin. Part 1, "An Independent Aesthetics," reconsiders Derzhavin as innovative verbal artist, placing his oeuvre squarely in the context of literary questions and debates over the literary language which were contemporary to his over fifty-year career. Part 2 shows how Derzhavin raised the leading poet to the status of national hero by tampering with the "sacred cow" genre of the court -- the panegyric ode. Crone examines Derzhavin's gradual abandonment of the impersonal "disembodied" odic voice, his injection of a personalized odist into the work and his consistent elevation of the position of the praiser vis à vis the praised, until the poet-praiser was himself an odic hero. As the poet in all Russian letters who held the most numerous and most powerful governmental positions (Governor, Minister of the Commercial Collegium, Minister of Justice, etc. ), Derzhavin, a man of pervasive "ministerial" mentality, was able to suggest very convincingly that a great poet was an independent "monarch" or "minister" in his poetic domain and that the great poet's national service was every bit the equal to that of a statesman or a Field Marshal.